Þuca Zbârcea & Asociaþii acted for Eureko SAFPP SA in challenging the decision of the Romanian Competition Council regarding a EUR 70,000 fine for an alleged cartel on the mandatory private pension funds market. The High Court of Cassation and Justice allowed the final appeal lodged by Eureko SAFPP SA against Decision No. 39/2010 of the Competition Council under which it had been fined for an alleged cartel formed in 2007 on the market for the administration of mandatory private pension funds (Pillar II in Romania). A team of highly experienced pleading and competition lawyers from Þuca Zbârcea & Asociaþii represented Eureko SAFPP SA in its final appeal before the Supreme Court in the case of the private pension fund administrators v. the Romanian Competition Council. The irrevocable decision, dated February 21st, 2013, is the first one issued in the case of pension funds sanctioned by the Competition Council, annulling a prior decision of the competition authority and also overruling a Court of Appeal’s earlier decision unfavorable to Eureko SAFPP SA. In 2010, the Competition Council ordered a 1.3 EUR million fine against 14 administrators of mandatory private pension funds (Pillar II of Romania). Nine of them challenged in court the decision of the Competition Council, among which Eureko SAFPP SA. According to Ioana Hrisafi, the Litigation Partner who argued before the Supreme Court, "this is the first irrevocable decision in the pension funds case and it will most probably have a direct impact on the other cases pending before the first instance and the final appeal courts." 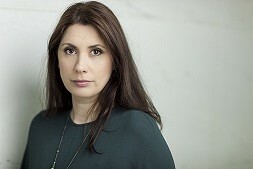 Moreover, Anca Jurcovan, a Managing Associate with the law firm, who covered the competition issues of the case, outlined its difficulties: “It was a challenge to dispute the extremely formal approach of the Competition Council’s 2010 decision. It was equally difficult to prove to the court, by determining the actual circumstances of the case and highlighting logical and economic arguments, that the practice sanctioned by the Competition Council could not, by its nature, affect market competition so as to make it to the black list”. Þuca Zbârcea & Asociaþii’s practice in Dispute Resolution has been consistently ranked first by reputed publications, such as Legal 500. The firm’s litigation and arbitration practice group, comprising 40 lawyers, is one of largest in the country, advising on complex and high-profile matters, including civil, commercial and corporate issues, joint ventures and related business disputes, contentious administrative law (competition, fiscal, IP related cases), banking and finance, bankruptcy/liquidation and insolvency, insurance, labor, maritime, real estate, criminal law, ad-hoc domestic and international arbitration procedures under the Rules of Arbitration of the Court of International Arbitration of the Chamber of Commerce and Industry of Romania, ICC, UNCITRAL and ICSID. Þuca Zbârcea & Asociaþii’s expertise in Competition/Antitrust received impressive recommendations from leading international publications. For the past six years, the firm has been recognised by Chambers Europe as the number 1 law firm in the Competition/Antitrust area, covering a broad range of competition issues including antitrust, domestic and cross-border transactions (mergers, acquisitions, joint ventures etc. ), as well as State aid. With offices in Bucharest and Cluj-Napoca, Þuca Zbârcea & Asociaþii is the sole independent Romanian law firm with a representative office in Spain. In addition to its business partnership network in Romania, the firm also entered into a strategic “best friend” cooperation agreement with law firm Þurcan Cazac, the leader of the business law market in the Republic of Moldova. The firm has garnered a string of local, regional and international accolades, having been named the “Law Firm of the Year” for four consecutive years and the “Most Innovative Continental European Law Firm” in the Financial Times’ Innovative Lawyers Report. The firm is a winner of the “Law Firm of the Year Award: Romania” (IFLR European Awards 2012) and the “Best Managed Workplace Award” (Managing Partners’ European Leadership Awards 2012). It also received the “Law Firm of the Year Award” (Chambers Europe Awards for Excellence 2010), the “Law Firm of the Year in Eastern Europe and the Balkans Award” (The Lawyer European Awards 2010). Þuca Zbârcea & Asociaþii’s client portfolio comprises many local and international companies, prominent financial institutions, as well as public authorities and government institutions. A selective list of clients includes: Erste Bank / Banca Comercialã Românã (BCR), OMV Petrom, CEZ, Gabriel Resources Ltd. / Roºia Montanã Gold Corporation, Rompetrol, ArcelorMittal, Carrefour, Romtelecom, Orkla Foods, Colgate-Palmolive, GED Capital Development, the Bucharest Stock Exchange, BRD-Groupe Société Générale, the European Bank for Reconstruction and Development (EBRD), Philip Morris, Alstom Transport, Siemens, Ericsson Telecommunications Romania and ING Real Estate. Þuca Zbârcea & Asociaþii now boasts 95 lawyers.